Earlier, the Boom Boom Song got a tremendous response from the fans of Superstar Mahesh. Now the makers decided to release second song Haali Haali on September 4th. Recently the shooting has wrapped up, and the post production works are going on at a jet speed. 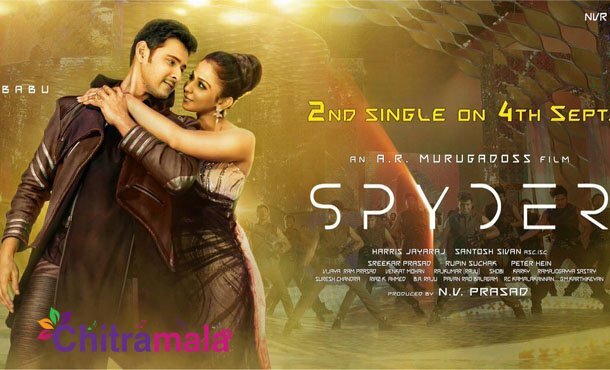 The film is slated to be a spy thriller and has Mahesh Babu doing some serious action scenes. Spyder film also stars Rakul Preet Singh and SJ Surya, produced by NV Prasad’s NVR Cinema, presented by Tagore Madhu and is slated to release this Dusshera on 27 September.